Check out Roxanne's Classes or Book a Private Session. Odyssey of Ascension merchandise now available in the store! 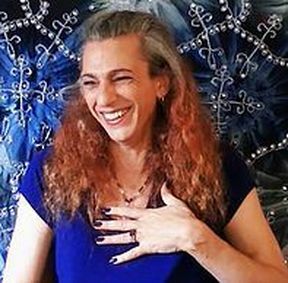 Roxanne Swainhart is a conscious channel, most known for channeling the entities Ocyphius and Sylvester. Since 2013, Roxanne has facilitated phenomenal dialogues that have not only clarified, but evolved our perception of abundance, relationships and reality. She has explored ideas that have led many to shed limitation based paradigms, inherent within the human psyche and shown them how to choose their own truths. For a more in-depth understanding of Roxanne's journey, explore the 'About' page on the website. Odyssey of Ascension - The Ride of your Life. Roxanne Swainhart's Ascension Guide to helping all of Humanity.